For this week’s worship we gather for a retelling of the story of Holy Week, using music, readings, and participation of everyone. Pray: Light a candle. Open your devotion with prayer. Holy Jesus, you came to Jerusalem seeking not empty worship but faithfulness to your commandments. Guide us now as we begin this week of contemplation and keep us close to your side as we retrace the steps of your final earthly journey. In your name, we pray. Amen. Jesus’ final visit to Jerusalem is not to be missed. Arriving in spontaneous fanfare and then confronting the temple merchants over their exploitation of others. The week of reckoning has only begun. Where do you see the presence of a dying Jesus in the world today? Where do you see the presence of a resurrected Jesus? What are you most afraid of? How can Jesus’ presence in your life help you overcome your fear? For the littles: Jesus had a grand parade in Jerusalem. Describe the parade you would host if Jesus rode into your town. 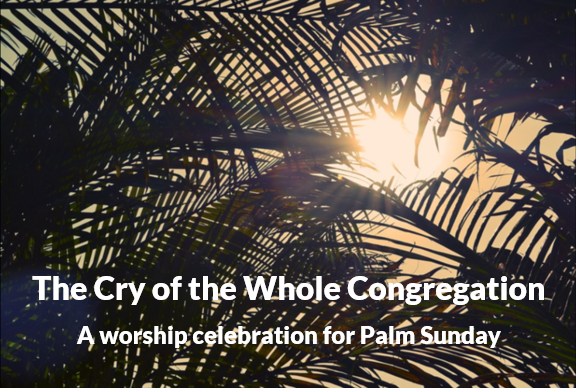 Attend Holy Week worship services this week. Write down one thing you get from each service. Carry it with you and reflect on it throughout the weekend.Bless: Close your devotion with a blessing. May God dance in your parade. Amen. Jesus continues showing his illustrations of God’s kingdom. This time, it’s foolish vs. wise bridesmaids. Will you be prepared when the critical moment arrives, or will you let it slip away? Jesus continues showing his illustrations of God’s kingdom. Will we be watchful to use the time allotted to us faithfully? Do people live as if Jesus might return any day? 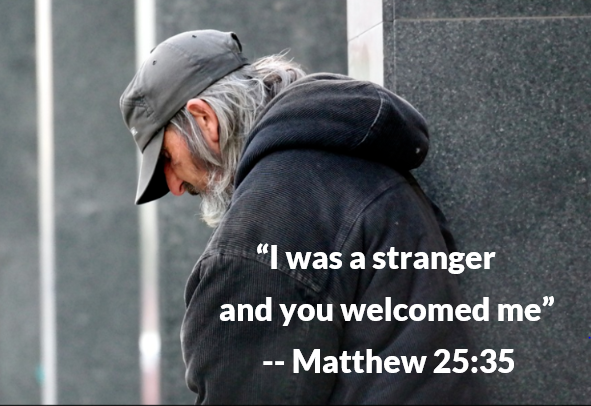 How might your community look different if people behaved as if Jesus was on his way? What is one thing you can change about your routine or behaviors so that you are behaving as if Jesus was going to return at any moment? For the littles: Is waiting easy or hard? Why? Jesus can give us patience as we wait. PRAY: O Lord, you bid us stay alert and active in the work of your kingdom. Keep us focused on things which matter, awaiting your return with eagerness and longing. Through Jesus Christ, we pray. Amen. BLESS: May God grant you patience. Amen. 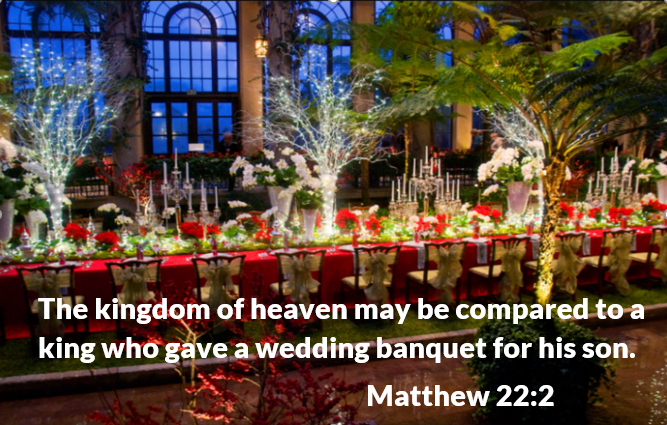 Jesus tells of a banquet to which many are invited, but some are too preoccupied. We will be ready to respond, or are we too distracted by other things? 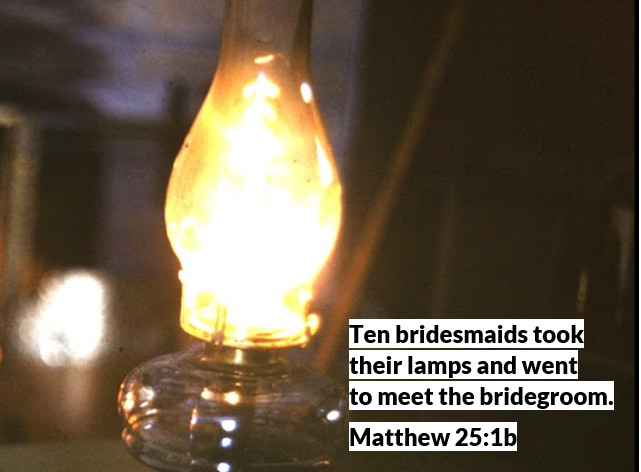 Jesus seems bent on stirring up his listeners with each subversive parable. When God invites you to a banquet, there is only one response, and only one dress code: celebration! Who are the insiders and who are the outsiders in your community? What happens when the lines get blurred? Who benefits when insiders and outsiders begin to work together? Who is hurt? For the littles: Describe your best going-to-a-banquet (party) outfit. You are invited to God’s forever celebration! PRAY: Lord of hosts, you constantly expand the boundaries of your kingdom. Make us joyful participants in your plan to redeem the world, that all people would be one in you. For the sake of Jesus Christ. Amen. BLESS: May God clothe you well for God’s eternal banquet. Amen.